This scandal is likely to mark a turning point in the struggle against wind turbines. Because it is no longer a question of “noise,” “nuisance,” or “quality of life.” There is now evidence of birth defects, miscarriages, and stillbirths. 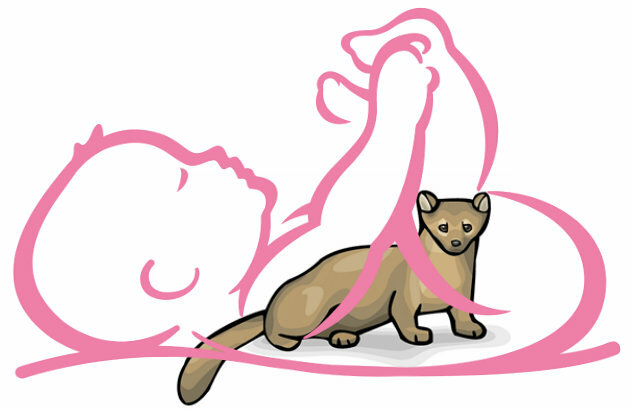 Indeed, what happens to minks can happen to humans – the human fetus. And the more powerful the turbines, the more infrasound they emit. The problem will only snowball. This news could ultimately bring down the whole wind energy scam. The immediate problem, however, is that the media are censoring anything that would hurt the wind industry. We need to smash the media blockade. We must write to newspapers, call radio stations, challenge our MP’s, senators, mayors and government councillors. Let us turn the issue of ill health effects into a workhorse, and the Danish mink tragedy into a spearhead. The mink are but the latest in a long list of domestic animals being slaughtered or deformed by wind turbines. Note that animals can’t be accused of having “psychological hangups” regarding wind farms. The argument that “it’s all a nocebo effect” is rendered absurd by this episode. The media can no longer ignore the issue — provided we put it under their noses a thousand times. 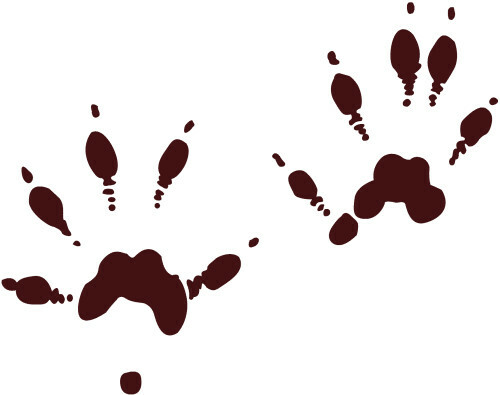 We have new documents on the Danish mink tragedy: the report of the veterinarian involved, a video, and a second newspaper article from Denmark. The mink story furnishes us with powerful arguments against misplaced wind turbines. The main one being that wind turbine low frequency noise, including infrasound down to 0.1 Hz, is harmful. We must now insist that turbine noise and vibration be measured inside the homes of windfarm neighbors. We are all as vulnerable as these mink. A new wind farm has been linked to the premature births of over 1,600 mink at a fur farm in Denmark last month. Veterinarians have ruled out viruses and food as possible causes, leaving the 460ft (140 metre)-high wind turbines as the only variable that has changed since last year. According to the World Council for Nature (WCFN), most of the mink were dead at birth and many had severe deformities, including lack of eyeballs. The new wind farm is located 358 yards (328 metres) from the fur farm, and consists of four 3MW turbines, reaching out to 460ft at the tip of the blades. The farm had already reported another incident related to the turbines when they became operational last autumn. The farmer reported millions of Danish kroners in damage to pelts after the animals became aggressive and started attacking one another. According to the WCFN, he even took his case to the Danish parliament. This is the latest in a series of incidents where wind turbines have reportedly harmed and altered the behaviour of animals and humans. Last year, a Canadian emu farm, popular with tourists, was forced to close after its animals started becoming aggressive and losing weight when wind turbines were installed nearby. In March, Breitbart London reported that the deputy chief medical officer at the Irish Department of Health warned that people who live near wind turbines were at risk of “wind turbine syndrome”. Symptoms include fatigue, dizziness, headache, difficulty concentrating and insomnia. “There are specific risk factors for this syndrome and people with these risk factors experience symptoms. These people must be treated appropriately and sensitively as these symptoms can be very debilitating,” the deputy CMO said. How’s that for solid evidence? So sad and sobering for me as I am trying to wake up my rural community, scammed by windies. Thank you for sharing Dr Calvin. I am still appalled by the atrocity being committed against the innocent animals on this mink farm and herein reference my comments on June 9, on Mark Duchamp’s exposé linked above. I would like to apply them to the brief statement also, regarding the emu farm in Canada. The link to that article is well-worth following. These are not the only animals sacrificed to the false god: Wind Energy! The numbers across species worldwide are staggering, infuriating and mind-boggling! All in addition to the human toll. I would like to add this critical fact: Infrasonic wave radiation generated and propagated by wind turbines IS NOT LIMITED TO THE IMMEDIATE NOR NEARBY VICINITIES SURROUNDING INDUSTRIAL WIND TURBINES. “ “It was a nightmare. It is also a mental challenge. A whole production system, one’s livelihood is at stake. And it’s not small amounts we are talking about. We fear the worst, because we know that mink fighting – bites, trauma, fur damage – will cost us millions of kroners”, he said. “Kaj Olesen Bank has now applied for permission to move his fur farm further away from the giant wind turbines. “Latest news: the municipality of Vildbjerg has denied him the right to move his mink farm, even though it would still be on his land. Says our Danish correspondent: “the authorities are having a love affair with the wind industry. But we, the people, must pay the consequences.” ” End of quote. But, the proposed move would not insure his animals would be safe from the pernicious effects of the turbines. It might reduce the most obvious horrific effects, but unless the distance, topography, geology, wind and weather patterns, etc., are such that the infrasound would actually be halted at the periphery of the proposed new location, the minks would still be adversely affected. Also, Mr. Banks and his family may not have noticed adverse effects to their own health yet, but, at such close proximity to their home and work environment, it is a virtual certainty that their bodies are experiencing the insidious harm caused by infrasonic wave radiation to their cells and organs. However, those risk factors are just the means to identify and quantify the bellwethers of this terrible attack on all life — and all living cells therein — on Earth. Wherever the infrasonic wave radiation reaches — and it travels much farther than the immediate regions near these Wind Monsters — living cells are subjected to destruction. Any denial of this fact can be easily refuted by researching reams of scientific data and technological findings beginning as long ago as the experiments of Nikola Tesla, inventor of DC, and then AC, power generation, in the 1800s. Tesla warned that protective technologies were imperative in the generation of infrasound in large-scale power production because he learned that INFRASOUND IS DESTRUCTIVE TO ALL LIVING CELLS. Those humans and animals who do not exhibit the specific risk factors are not safe!!! They just aren’t obviously affected as quickly as the bellwethers. Their cells are being destroyed whether they know it or not. Effects appear clinically in identifiable stages dependent upon the initial physical condition of the victim and the proximity to the generating source, with symptoms appearing quickly or over longer time periods. There are animals and humans being adversely affected at many miles distant under the right environmental factors. A recent limited study by acoustics engineer Kevin Dooley, found that the atmospheric infrasound produced by industrial wind turbines alone, has been measured as far as 125km (56.81 miles) distant, albeit with reduced amplitude. Even so, his failure to measure the ground and water-transmitted infrasound ignores the likelihood that it was also measurable at that distance. (Would it have been more intense?) Of course, infrasound is also the measurement standard used to monitor nuclear testing and earthquakes across-the-globe because of its underground and underwater propagation properties. I know it causes adverse effects to humans and animals at least 12.5-13 miles distant in my own community. I am a Wind Energy Refugee from my home at ~11.25 miles from the nearest 2.2MW turbine. I was literally dying from the added effects of the infrasound rapidly taking my already weak adrenal glands into Addison’s Disease. It is not easy to maintain hope, but, it springs forth anew in my heart as I read the above reports. Praise the Lord! At Clear Creek, a community on Lake Ontario, CA, a woman lost her late-term fetus through spontaneous abortion induced by the toxic acoustic energy propagated by 1.5 MW wind turbines operated there. At the same place a man was triggered into severe diabetes, a metabolic, life-threatening illness. Several individuals tried to take their own lives in their desperation. Others, sadly, have succeeded. Several families were forced to abandon their homes. No one has the right to laugh these kinds of things off. Remember, captured Nazis fully believed in the rightness of their abominable deeds. 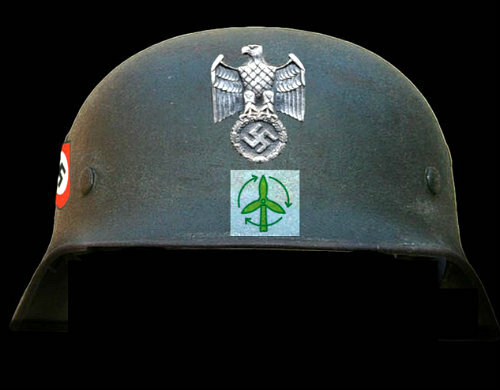 The wind power industry must be smashed, just as we were forced to defeat the Nazis.